Happy Maundy Thursday! Now that's something you don't hear everyday. Many of you, from non-liturgical traditions, may not know what Maudy Thursday is. 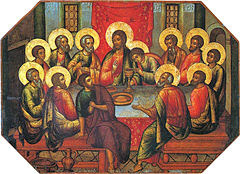 It is the day Jesus and his disciples had the "last supper" in which He instituted what we call communion or Holy Eucharist. It is when Judas betrayed Jesus and when Jesus was arrested. We don't normally view this as a celebration, instead it is a somber, reflective time in Holy Week. But for me, Maundy Thursday, 2007 was the day I was healed. You see, over the course of many years I had gradually bought into a message that I was not worth caring for. It happened so slowly I didn't really notice, therefore, didn't question it. This also affected how I thought about God's love. I believed that God counts every hair on your head, and his head and her head. But when it came to me, I had this image of the Atlanta Braves' baseball stadium filled with people. I imagined Jesus looking at my face in the midst of thousands of other anonymous faces saying, "Oh yeah, I love you too." Not that Jesus didn't love me but not in the intimate way he loves you. I was OK with that...I wasn't worthy of anything more. In March of 2007, I went on my first mission trip ever. Of course, it was a mission trip to Tegucigalpa to work with LAMB. We were building one of the cottages out of adobe block. The children were still living in the rented house in Las Tapias on the outskirts of Teguc. We saw them several times during the week. I was moved, touched, amazed and in love with them. Towards the end of the week, the Holy Spirit suddenly overwhelmed me by revealing a truth I hadn't given much thought to. 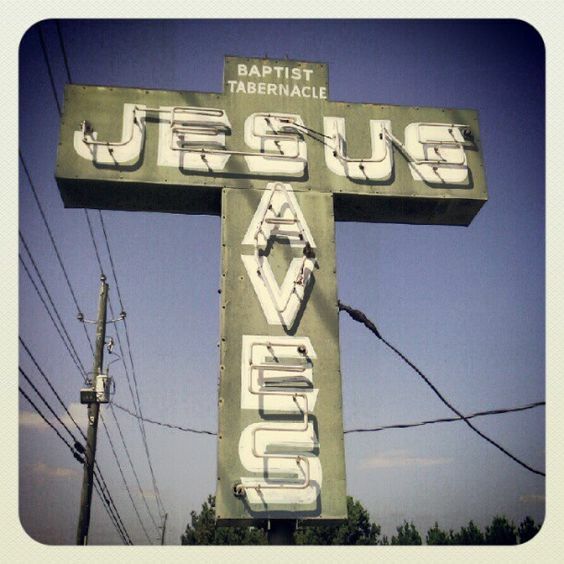 In the south, you see "Jesus Saves" signs everywhere. They are ubiquitous and become part of the scenery. If I did notice one, to me it was an aspirational statement. Someday, when I die, Jesus will save me. What's not to like about that? Well, that day on the work site that would become the Children's Home, the Holy Spirit revealed to me that Jesus saves those children right here, right now. I was overwhelmed by the immediacy of that. For the precious children I had come to love, Jesus was saving them, loving them in the moment! I was filled with joy and awe at His love for them. For them. Not me. Soon after I returned to the US, it was Maundy Thursday. I was a chalice bearer for this very solemn service that ends with the stripping of the altar in preparation for Good Friday. I and the other chalice bearers were kneeling in the back of the church as the service quietly ended. Suddenly, I heard the Holy Spirit say, "And I save YOU, right here, right now. I love YOU!" Just like that, I was healed. No more feeling unworthy or uncared for. Just like that I knew I was beloved, that Jesus died for me. 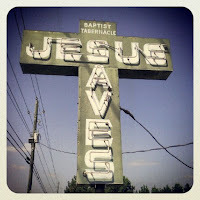 I remain secure in the knowledge that I am one of His beloved, saved now and forever. So, Happy Maundy Thursday! I wish you a Maundy Thursday filled with the knowledge that Jesus saves you, beloved, right here, right now!